A 5am hike from the Yosemite Valley to Glacier point was the start of the day and we captured every moment of it. 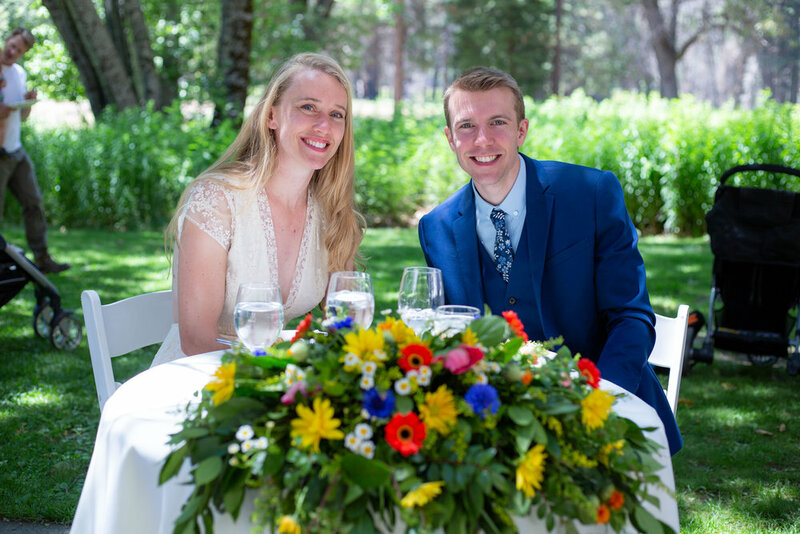 They wanted the full Yosemite wedding experience, and with a lot of guests (half of which did the morning hike) this day was off to an amazing start. 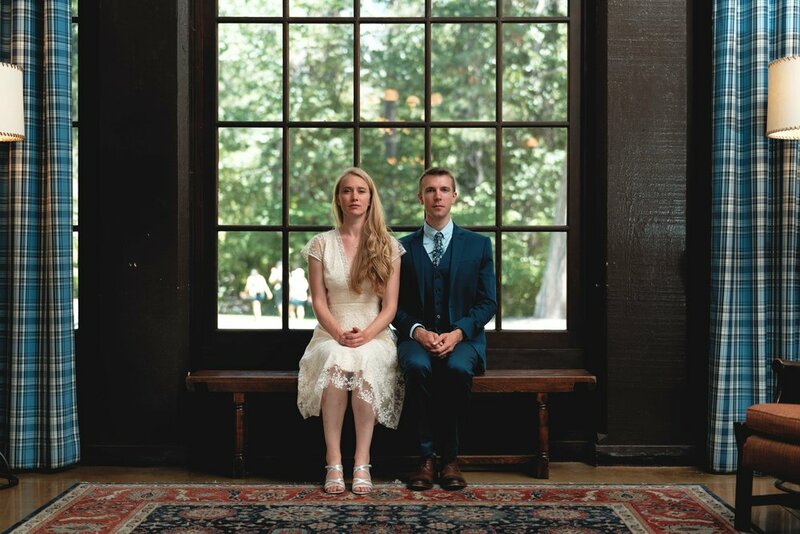 After the Glacier Point wedding ceremony, friends and family made their way to the Ahwahnee Hotel (a.k.a. Majestic Hotel) in Yosemite Valley where the reception was being held. The day came to an end by saying goodbye at their campsite. In full wedding attire they crawled into their tent to relax after a long but amazing day. It was truly a pleasure to capture their wedding, it is one that we will never forget! Oh and we took a few analog film photos also ;) Shot on Lomo 100 film and Canonet Vintage camera.